As the nature play movement grows in New Zealand, we want to provide you with a way to connect with like minded people while gaining the knowledge and confidence to use nature as the teacher. 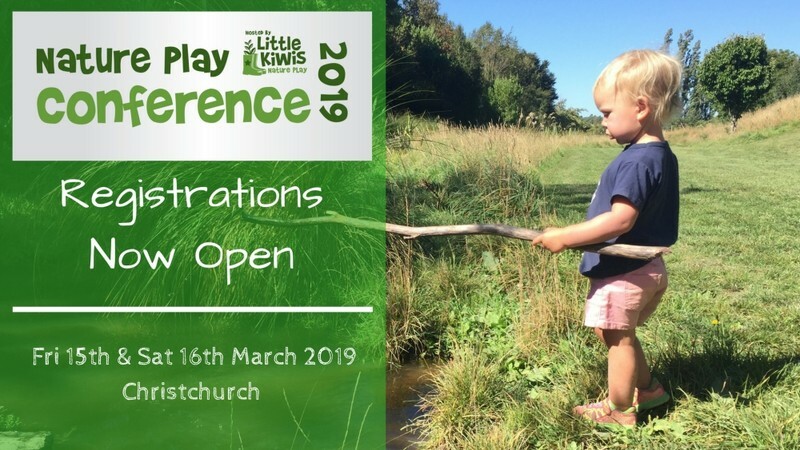 Join us for a day of inspiration with some amazing New Zealand speakers, who will be exploring our children’s connection to their local environment through conversation and interaction. Our speakers will challenge you, inspire you and provide you with tools and strategies to take away with you. This conference is aimed at educators and those who work directly and indirectly with children (ECE educators and primary teachers, urban planners/designers, enthusiastic parents). Anyone who works with children will benefit in attending. The conference will take place in the Botanic Gardens Visitor Centre Function room. There is an optional second day of workshops available on Saturday 15 March for an extra fee.